Internationally acclaimed as one of the greatest cellists of our time, Takeichiro Hirai is the last survivors who inherited the legacy of great masters from the late 19th?and early 20th?century, having associated with Kreisler, Villa-Lobos, Shostakovich, Khachaturian, Britten, Cortot, Kempff, Szigeti and Segovia. He has also collaborated with artists such as Menuhin, Stern, Horszowski, Serkin, Fournier and Rose.? Since his sensational debut in 1961 playing 4 concerti (Dvorak, Schumann, Lalo and Boccherini) under Pablo Casals conducting, Hirai has been performing regularly across the globe, appearing as a soloist with the world’s leading orchestras and as a recitalist in prestigious venues such as the Musikverein (Vienna), Concertgebouw (Amsterdam), Wigmore Hall (London), Salle Gaveau (Paris), Great Hall (Moscow), NHK Hall (Tokyo), Kennedy Center (Washington D.C.) and the Carnegie Hall (NY).? Hirai has been honoured with many prestigious awards including the Prix Extraordinaire at the 1st?Pablo Casals International Competition in Paris (1957) and the Composer’s Union Prize at the Tchaikovsky International Competition (1962).? Born in Tokyo in 1937, Takeichiro Hirai studied the piano and composition with his father Kozaburo Y. Hirai, the renowned composer who studied with Mahler’s celebrated disciple.? Hirai, who was already a regular concert-pianist and a composer of symphonic works including a piano concerto, began his cello studies with Hideo Saito (a pupil of Feuermann) at age 12.? In only 4 years he won first prize at the Japan Music Competition (1954) and graduated the Toho Conservatory of Music in Tokyo.? 1956 saw the turning point when? Gregor Piatigorsky, who marvelled at Hirai’s performance, recommended him to study with? Pablo Casals. Subsequently, Hirai relocated to Puerto Rico and spent 5 years under Casals. In 1961 at a press conference in New York, Maestro Casals noted:?“I have taken him with me throughout all of Europe, and I have taught him all that I know. He will be my successor!”?Since then, Hirai has toured no less than 40 countries across 4 continents, giving highly successful concerts as well as performing in various international music festivals including the Prades (France), Casals (Mexico), Estherwood (Spain), Marlboro (USA) as well as the Zermatt (Switzerland) where Hirai had coached the young Jacqueline Du Pre. Hirai has ambitiously challenged cello-playing and conducting simultaneously.? In 1979, he played 3 cello concerti (Haydn, Saint-Saens and Dvorak) with the Tokyo Philharmonic Orchestra in a single concert as both cellist and conductor to huge critical acclaim.? In 1988 Hirai was invited by Nancy Reagan to give an opening concert as special guest artist at the First World Cello Congress held in Washington, D.C. where he was also a member of the specially formed cello quintet with other noted cellists such as Tortelier and Rostropovich. In 2005 Takeichiro Hirai celebrated his Golden Jubilee as a cellist, giving a special gala concert at the prestigious Tokyo Kioi Hall with his two sons, Hideaki (conductor) and Motoki (pianist), performing the Bach’s Solo Suite No.1, two concerti by Dvorak and Schumann, as well as the world premiere of his own?‘Poem “Catalan” for cello, piano and orchestra in memories of Pablo Casals’, finishing the programme with ‘Song of the Birds’.? In 2008 he organized a new cello ensemble of 37 leading cellists of Japan, performing masterpieces of this genre as well as conducting the premiere of his new work ‘Ode?for cello ensemble’ in the presence of His Majesty Emperor Akihito and Empress Michiko at the Suntory Hall (Tokyo). His recitals of the complete cello works by Bach and Beethoven have always sold out months in advance. ?In addition to such standard repertoire, Hirai has also devoted himself to expanding the cello literature, rediscovering the neglected but important works from the past, whilst transcribing a vast number of works from all periods for the cello. Besides his prolific activities as a cellist, Takeichiro Hirai is an avid composer of symphonic works, chamber music, piano works as well as choral music and lieder, whilst having written a number of cadenzas for cello concertos.? His compositions for cello include ‘Suite “Latina”’ (1981), ‘Fantasy “Hokusai”’ (1993), ‘Classical Sonata’ (1994), ‘Variations on “Stenka Rasin’” (1998) and the ‘Fantasia on Werner’s “Heidenroslein”’ (2002), in which he explored new dimensions of the instrument by introducing innovative technical and expressive possibilities.? In 1988 he gave a concert with his own chamber orchestra in the presence of Crown Prince Naruhito of Japan, performing his works for cello and chamber orchestra ‘Song of Isla Verde’ (1983) and ‘Rondo Concertante’ (1987). Hirai has been invited to give various master classes across the world and acted on the jury for various international competitions.? In 1990 he taught at the Juilliard Summer School held in Mallorca (Spain) as principal faculty guest artist, immediately followed by recitals and workshops in Italy and France.? 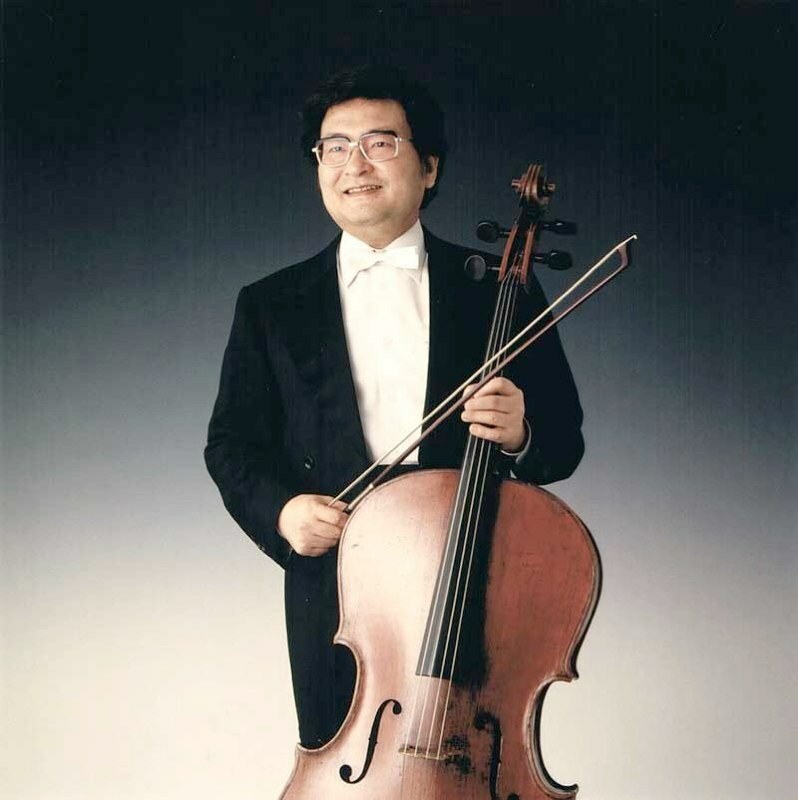 He was also a professor of cello at the Toho Conservatory of Music (1972-1990) and has been the chairman of the Association of Composers and Authors in Japan (2003- ). Hirai, a promoter of charity concerts, has focused particularly on world peace and fight against poverty, performing at the Auschwitz in Poland (1995) as well as a series of World Hunger Benefit Concerts with organisations such as the United Nations. As an artistic emissary of the Japanese government (1980- ), recitals have led Hirai to several European countries, as well as 7 Latin American and 5 Asian countries, where he received the warm welcome of Royal families and leaders of the respective countries. He has broadcast internationally on radio and television and has made over 30 critically acclaimed recordings with labels such as Sony, RCA and EMI (including the historical 1961 live recording of cello concerti under Casals conducting). In 2009 Hirai will return to Europe, appearing in recitals and music festivals in England, Denmark, Spain, Romania and France.